The wish to start a family is one that is shared by countless people around the country, regardless of biological ability or marital status. Nevada law permits those who fulfill certain legal requirements to have children via gestational surrogacy, and while the process is relatively simple compared to the hurdles established in many other states, misinformation still abounds. 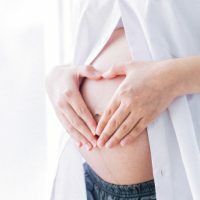 Before going through with such a momentous life decision, it is important to try and understand the facts surrounding gestational surrogacy and the agreements made to facilitate that process. Is Traditional Surrogacy Legal? Nevada law authorizes gestational surrogacy only – that is, the type of surrogacy where the carrier of the child does not contribute genetic material to that child’s creation. Traditional surrogacy (wherein the carrier of the child also contributes genetic material) can be problematic for public policy reasons and is not covered by law in Nevada. Can Anyone Contract For Surrogacy? Yes. It is not necessary to be heterosexual or married; even single parents may enter into gestational surrogacy agreements in Nevada. Can The Agreement Be Declared Invalid If The Child Is Born With a Disability? No. Any attempt to condition the contract on the birth of a healthy child would be declared invalid. For example, holding that the intended parents would not accept parental rights to the child if it is born with a disability, or born a girl when a boy is desired will result in that part of the contract being invalidated. However, if a child is born disabled due to risky behavior or choices on the part of the gestational carrier (such as drug use, for example), that may be compensable as a breach of contract. Can Either Party Back Out? Sometimes. Parties may change their mind before pregnancy actually occurs, but not after. A court will never order specific performance of a surrogacy contract – in other words, if a surrogate has changed her mind and does not wish to become pregnant, she will never be ordered to do it anyway. Such an order would run afoul of basic legal principles. If you or a loved one has further questions on gestational surrogacy in Nevada, contacting a knowledgeable attorney can help to clear them up. The Kainen Law Group is proud to work with potential parents and surrogates help families from all walks of life reach their dream of a child. Call our Las Vegas office today to set up an appointment.